Home / Events / Arbor Day / Arbor Day — Plant 1,000 trees with Tree Pittsburgh and Q.V.R.A. 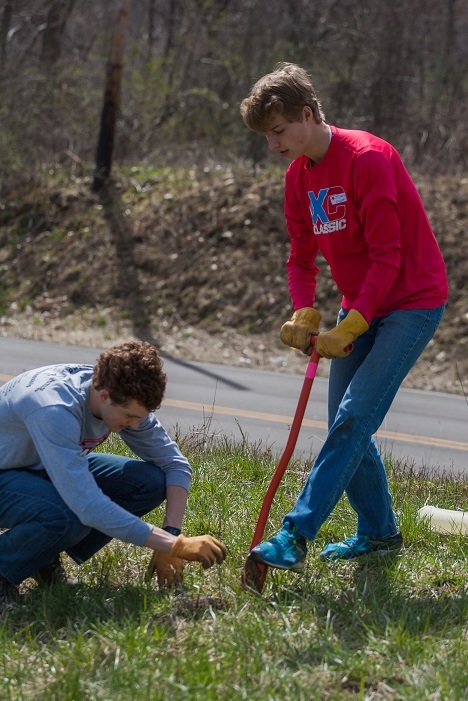 Fol­low­ing last year’s suc­cess­ful plant­i­ng of 1,000 trees on Earth Day, we’re at it once again this year to plant the 2nd group of 1,000 trees. This time on Arbor Day! On Sat­ur­day April 27, Tree Pitts­burgh will be work­ing along­side the Quak­er Val­ley Recre­ation Asso­ci­a­tion to accom­plish this plant­i­ng goal, and we need your help! Last year we had upwards of 90 vol­un­teers help­ing us, and this year we’re hop­ing for the same! Thanks to fund­ing from the Alcoa Foun­da­tion and Amer­i­can Forests, this project aims to refor­est large swaths of the for­mer Bell Acres Recre­ation Park north of Sewick­ley. Break­fast snacks and a piz­za lunch will be includ­ed.